A personalized item for anyone of any age! A Birthday News Page is such fun and they make great birthday presents for any one of ANY age. Give them to nursing home residents to hang on their wall – it’s fun for them and makes a great conversation piece. On the flip side of life, children love these, as well. Plus, they’ll always remember the facts of their special day of birth. And every age in between will enjoy these! Birthday News Page is meant strictly for fun and entertainment. 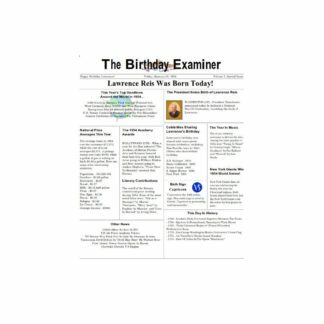 The “headline” will be “The Birthday Examiner” and the page will appear in newspaper-style format. While some of the information is entirely fictional, such as the President of the time announcing the birth (top right), the facts and figures are completely accurate for the birthday of your special recipient. I’ve made up 3 fictional samples from 3 different generations (1932, 1954 and 1983). This is one of those items that are fun and unique to each individual you give it to – that makes it pretty special. 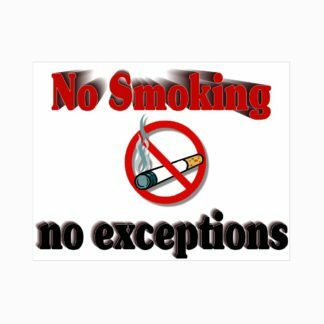 When you place your order for this item, you’ll have to let me know the exact name – please double check spelling – of the person you want headlining their personal birthday news page from “The Birthday Examiner“. 🙂 And of course,, the birth month, day and year. Once I’ve made your personalized Birthday News Page, I do not retain any of the personal information It is only used to create your PDF. I highly respect the confidentiality of my customers.